Fiat India has been on a market share capturing spree since the time they exited the JV with Tata Motors. The Italian company has been doing a makeover of its independent showrooms, Fiat Caffe and changes in their management too. Not to forget the new launches they are doing and they plan to do soon. Recently, Fiat India launched their Punto Sport in Bangalore on 14th August. The car is powered by 1.3L Multijet engine which produces a power of 90 bhp and 209 N-m torque. The ARAI certified fuel efficiency of the car is 20.5 Kmpl. The Sport edition of the Punto is available in two exterior colors – Exotica Red and Pearl White. The roof of the car is painted in a contrasting black color while the wing mirrors are red for Pearl White and black for Exotica Red. Other highlights include a roof spoiler, ‘Sport’ badging, door sills with the ‘Punto’ branding, sporty pedals, body decals and a chrome finished exhaust tip. The car includes the equipment including ABS+EBD, dual front airbag with passenger airbag deactivation technology, foldable key with central locking, automatic climate control, tilt steering and an integrated music player with Bluetooth, USB, steering mounted controls and adjustable wing mirrors. Fiat offers a standard 3 years / 100,000 Kms and is priced at INR 760,048 ex-showroom New Delhi. The car is available at price of INR 738,047 in case you exclude the sports accessories. 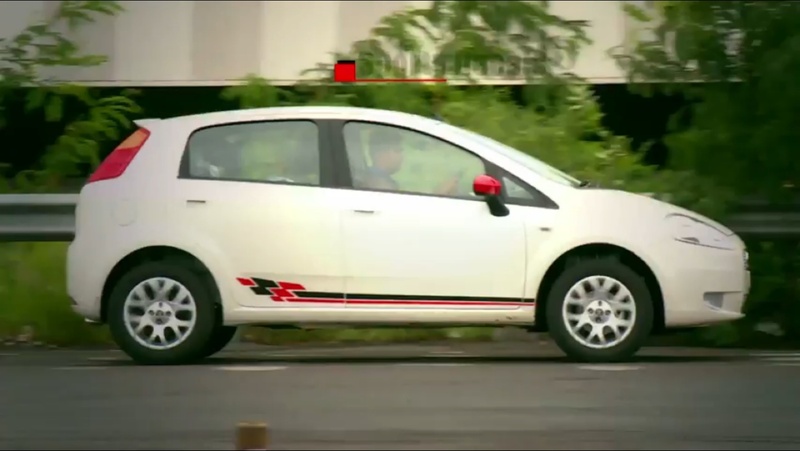 We will bring you more details on the car, in the meantime look out for the Video below and get a feel of the sporty features included in Fiat Punto Sport.